Drawing to the Baggies was surely not wise, but perhaps it was a blessing in disguise. AS Roma are branded "neither fair or right," for hiking match ticket prices out of sight. Transfer speculation has gone totally crazy, with claims the Reds will sign Fellaini. The Good, The Bad and The Ugly, another week reviewed at the world's favourite football club, Liverpool FC. Strange as it may seem, yesterday's humbling at the hands of West Bromwich Albion. To throw away a 0-2 lead as the Reds did yesterday was true Liverpool fashion as we have come to know them in recent years. Yes, Jürgen Klopp rested a number of first-team regulars including, Roberto Firmino, Alex Oxlade-Chamberlain and Andy Robertson. However, those selected should be capable of seeing off the league's bottom side. 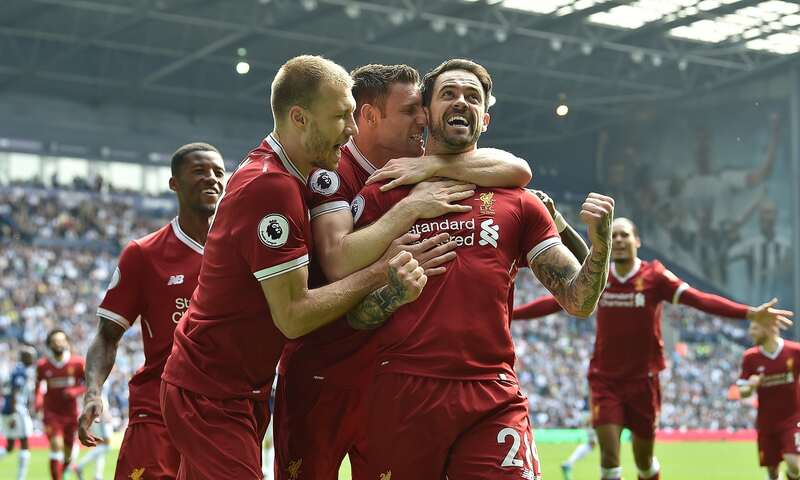 Following Danny Ings' opener on five minutes and his first top-flight goal for (literally) years, it looked as if Liverpool would have been odds-on for the three points. Especially when Mo Salah racked his 31st Premier League goal of the season to make it 0-2 after 72 minutes. Happy days... Or so fans thought. Wrong. It took a goal resembling a rugby scrum in the 79th minute from Jake Livermore and another set-piece nightmare nodded in by Salomón Rondón to bring Liverpool crashing down to earth. What's good about all this you may ask? Well, with the game against Roma coming up on Tuesday, this was probably what Liverpool needed. Not just in proving that they can't dawdle when leading games, but also in terms of selection. It's clear the likes of Ragnar Klavan, Alberto Moreno and Danny Ings aren't good enough. If Klopp needed any more evidence he got it at the Hawthorns yesterday - in duplicate. It's also clear that Klopp is keeping the best players fresh and so he should. Tuesday's game is the biggest of the season so far and it's clear the manager doesn't want to fall short. In fact, he can't. It's not allowed! The Echo this Week rightly reported the clear disparity in the Champions League ticket pricing situation as AS Roma set prices for Liverpool fans at £73. Liverpool have written to UEFA to voice their concerns after the Spirit of Shankley supporters group referred to the Italian club's approach as being "... neither fair or right". Hear, hear! It should also be noted that Roma fans will be charged £48 to see the first leg fixture at Anfield. Aside from the fact that Roma are clearly taking the p*ss, most would agree that this is against the spirit of the game. Further, it flies in the face of another UEFA initiatives the so-called "Financial Fair Play" regulation. Intended to regulate the spending of (principally) top teams. In my opinion, this episode provides good grounds for the implementation of a "Ticketing Fair Play" initiative also. Or would that just be too straightforward? We all know that with the end of the football season looming large, the transfer speculation machine will go into overdrive. This year, however, it seems, that things have gotten somewhat out of hand. The Express (citing transfermarketweb) claimed this week, that Liverpool are lining up a "shock" move for Manchester United midfielder Marouane Fellaini. Being a curious kind of guy, I pursued the story, only to find probably the smallest article ever written. If indeed it even qualifies as one at around 160 words. It's hard to believe that an established mainstream newspaper can't find a better story to write. It's understandable that the odd Twitter hackwill latch on to it, but a paper of this stature? What's funny is that the story in the Express is twice as long as the "reports" (in reality snippet written in boredom to attract interest) that it refers to as a source. We all know you can never say never in football. However, some pigs should be left flying! Next up Liverpool welcome AS Roma - the first victim of my proposed Ticketing Fair Play Scheme - to Anfield for the first leg of the Champions League Semi-Final. What a cracking match this is lined up to be!